The very wise Mark Twain once said, “Too much of anything is bad, but too much good whiskey is barely enough.” The brand new VOM FASS Hillcrest, which literally means “from the cask” in German, doesn’t take this quote lightly. 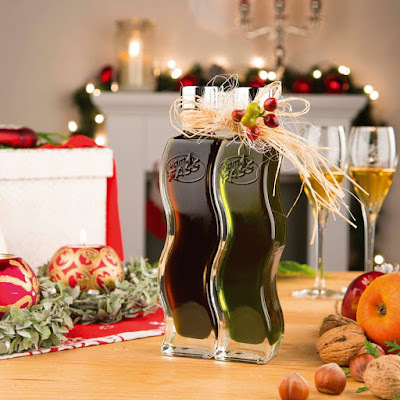 VOM FASS is a famous European franchise known for their supply and pre-purchase tastings of the finest wines, liqueurs, spirits, oils and vinegars from around the world. Finally catching on in the States, San Diegans can now refine their taste buds with the grand opening of the city’s very first VOM FASS, located in The Hub Hillcrest Market. Quality comes with being selective, and with close partners of farmers and growers in regions ranging from the Swiss Alps to the shores of the Mediterranean, VOM FASS only settles for the best. 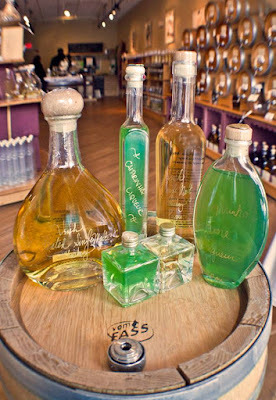 VOM FASS is a mixologist’s heaven with over 25 handcrafted liqueur flavors introduced from Europe such as apple pie, chai, ginger, nut chocolate, lavender, elderflower, and cocoa. Not to mention VOM FASS has a wide selection of brandy and whiskey imported from Ireland and Scotland; some of which are aged up to 22 years! More of a wino? You’ll enjoy their hand-picked wines from small family-owned vineyards while indulging in a tasting of their oils and vinegars, also carefully selected from small culinary artisans in Europe. For example, theiraward-winning Apple Balsamic Star imported from Germany or their rich Aceto Balsamico di Famigliahandcrafted in Italy. The VOM FASS team is also professionally trained to fuse flavors of over 70 oils and vinegars such as avocado, roasted peanut, pumpkin, mango, fig, and pomegranate to create one-of-a-kind recipes that are shared with and experienced by VOM FASS customers. Centrally located inside The Hub Hillcrest Market, VOM FASS is already making its mark in San Diego as being one of the top shops to purchase and try exclusive culinary products from around the globe. VOM Fass is located at 1050 University Avenue. For more information, visit hillcrest.vomfassusa.com.